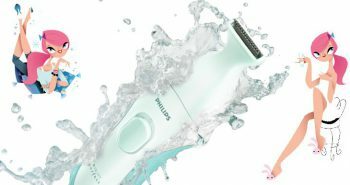 Many people may associate the Philips Norelco line with highly priced premium men’s cordless rechargeable shavers, but the Philips Norelco PT730/41 Shaver 3500 offers a great shaver for an affordable price. This shaver is also waterproof, and 100% washable. If this shaver looks familiar it’s because it used to be called the PowerTouch PT30/41, but is now called Philips Norelco 3500. The only difference is that you will receive this product in updated packaging. The Philips Norelco 3500 has a black plastic finish, with silver around the rotary head, and a V-shaped silver line around the front. 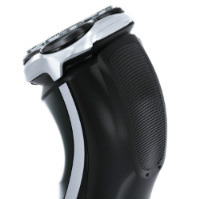 The shaver is actually curved in a C-shape, with two indentations on front and back, which will enable you to hold it more easily in your hands. This is particularly handy as you can also shave with water and shaving creams, gels, and foams. Near the bottom front of the V-line is a green LED light to indicate that the shaver is on and ready to go. On the front of the shaver is an LED charge indicator. There is also a battery low and a battery full indicator. 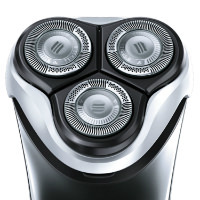 This shaver is rotary style, and there are three DualPrecision heads. Each of these three rotary heads have close-cut blades. Within each of the three turning rotary heads are many tiny slots and holes. Your hair will easily be captured by these holes which will then quickly and comfortably be trimmed off. They will also be able to capture both long and short hairs in one pass, so your shaving will go a lot faster. The rotary head has also been designed with a flex and float system that will enable the shaver heads to more easily follow the contours of your face. This also allows it to capture more hair in one pass. It also allows for better contact with your skin, and will shave off more hairs in one pass. Within the rotary heads are also the patented Lift and Cut system. These blades will gently lift up your hairs, and then snip them off comfortably below the skin’s surface. 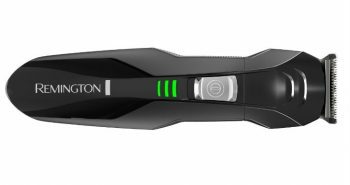 At the back of the shaver is an integrated pop-up hair trimmer that will help to shave around those smaller regions that you need to trim hair, such as eyebrows, mustache, or sideburns. You simply push it up to use it, and push it back down again when you’re done. 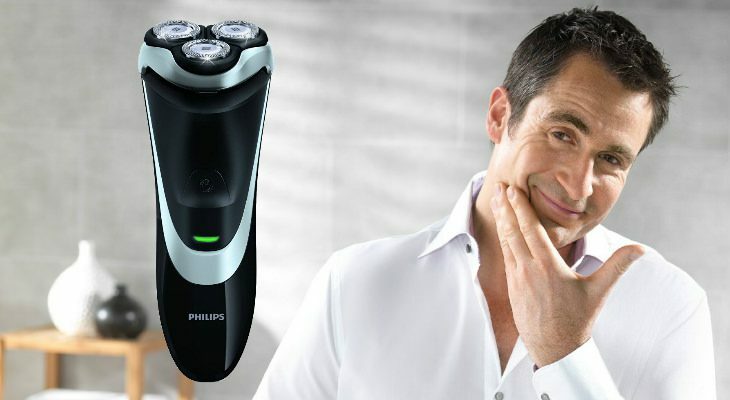 The Philips Norelco PT730 has been designed to give you the fastest and most comfortable shave. Your skin will be left free of irritation and redness. 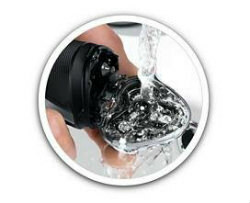 The maintenance of the Philips Norelco PT730/41 Shaver 3500 is simple. To clean the shaver, all you have to do is rinse it under a running tap of water to get out the tiny hairs and any shaving products you may have used. There is a cleaning brush included to help you dig into the corners. It’s recommended that you replace the rotary head with an HQ8 replacement head every twelve months. The Philips Norelco PT730 costs around $60, putting it in reach of most working men. It’s also great to know that you can brag about owning a Philips Norelco, while only you know the real price you paid! 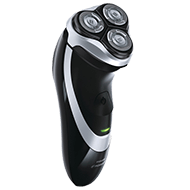 The Philips Norelco PT730/41 Shaver 3500 has been designed with a lithium ion battery that is rechargeable. It will take eight hours to fully charge it up. This will give you about forty-five minutes of shaving time. There is also a quick three minute charging option, should you have forgotten to plug your shaver into the outlet the previous morning and find it’s totally dead. In the box you’ll receive one Philips Norelco PT730 with pop-up trimmer, a protective plastic cap, a manual, a cleaning brush, and charger plug with cord. 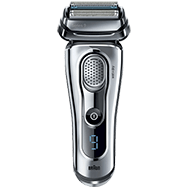 This shaver comes with a 45 day risk-free trial, and a full two year warranty. 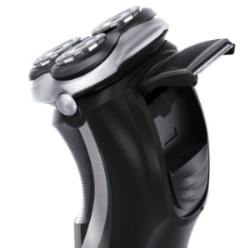 The shaver weighs 6.2 ounces, and 15.2 ounces with all products in the box. The shaver measures 1.8” x 2” x 6.1 inches. This is a great shaver to take on trips as it has a worldwide voltage function from 100 to 240 volts. 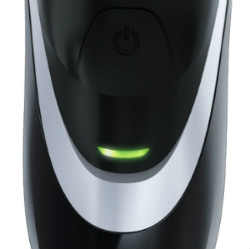 The reviews are favourable for the Philips Norelco PT730/41 Shaver 3500, with 4.2 out of 5 stars. 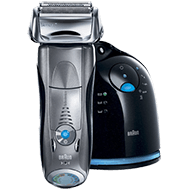 If your old men’s shaver is starting to die, don’t suffer having a bad, uneven shave when you can purchase the Philips Norelco 3500 for a great price. Not only is this an excellent shaver, but Philips makes quality shavers that last a long time. This shaver will also make a great gift for the man in your life. 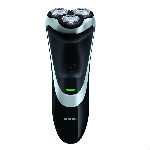 Most men will be happy to receive their Philips Norelco PT730/41 Shaver 3500 for birthday or a holiday gift.